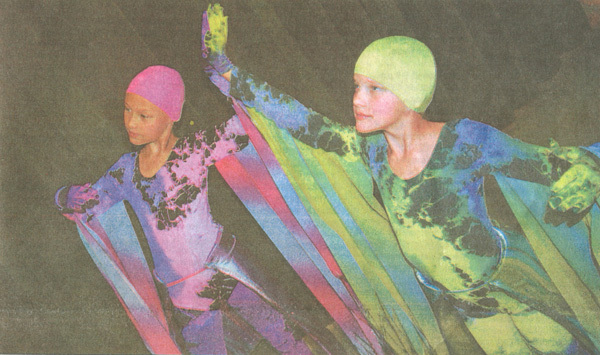 A school production of The Little Mermaid took people by surprise with the casts' visually pleasing apparel. These two lovely little princesses wore We Love Colors bodysuits to star as Minny and Finny in the play. They rehearsed for four months in preparation for the exciting night and they even used our splash colors!